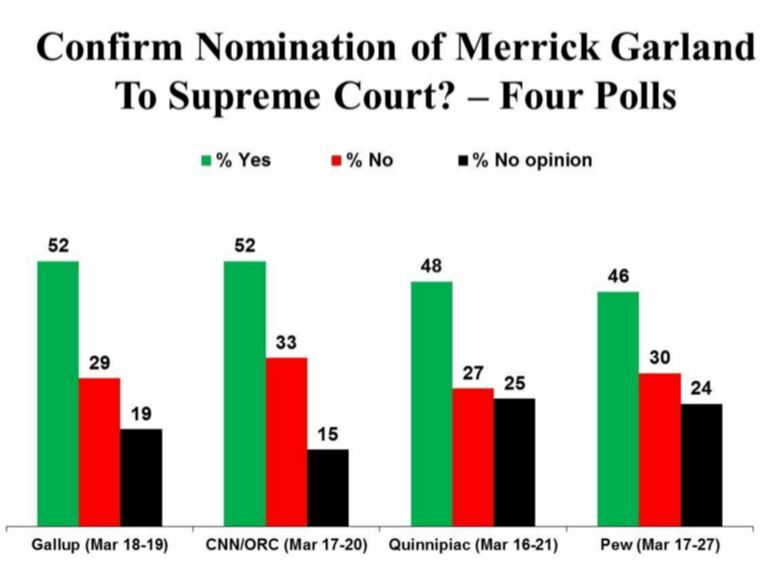 Home » Media Polls» PollCheck: Do Americans Really Want Merrick Garland Confirmed to the Supreme Court? 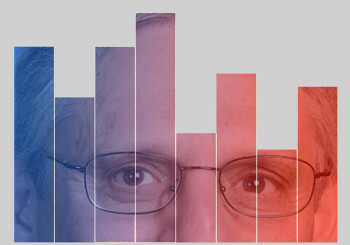 PollCheck: Do Americans Really Want Merrick Garland Confirmed to the Supreme Court? Tags: Barack Obama, Media Polls, Merrick Garland, U.S. In the aftermath of President Obama’s nomination of Appellate Judge Merrick Garland to the Supreme Court, several polls – conducted immediately after the announcement – suggested Americans were highly favorable to his being confirmed by the U.S. Senate. 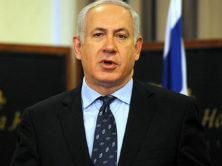 But a new iMediaEthics PollCheck survey suggests these polls were highly misleading, that a more realistic assessment of public opinion finds most Americans unsure whether the judge should be confirmed, and that people with strong views are about evenly divided on the issue. All four polls – by Gallup, CNN/ORC, Quinnipiac and Pew – started their interviewing within two days of the announcement, leaving little time for the public to learn much about the nominee. 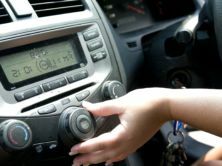 But with the forced-choice question format (no explicit “unsure” option offered to the respondents), the polls were able to elicit top-of-mind responses from 75 percent to 85 percent of the public. As part of our PollCheck series, the current iMediaEthics poll was designed specifically to test the results of the other polls. Given the slightly different wording among the four, we chose the exact wording that Pew used, and the same polling organization used by Pew – Princeton Survey Research Associates International (PSRAI) – to conduct our interviews. The responses the iMediaEthics poll got in April are quite similar to those reported by Pew the previous month, suggesting little change in the public’s attention to the issue weeks after the announcement. The iMediaEthics forced-choice question that was asked provided results that came close to the results that Pew found with the same question. Pew’s level of support is somewhat higher (46% for confirmation, 30% against) than what iMediaEthics measured (39% to 30%). The higher level of support found by Pew is probably due to a priming question that Pew asked right before the confirmation question, which iMediaEthics did not ask. A priming question can influence a respondent’s subsequent response, whether to answer in a given way, or – in this case – to give an answer at all. The Pew question asked, “How important is the choice of the next Supreme Court Justice to you personally – very important, somewhat important, not too important, or not important at all?” Most respondents said “very” (56%) or “somewhat” (27%) important, and having just said that, it’s likely many felt obligated to come up with an opinion on confirmation, even if they didn’t have one. However, the priming apparently affected only the responses of people who weren’t paying much attention. Pew reported that among respondents who said they had heard “a lot” about the nomination, 61% supported confirmation and 33% opposed it. 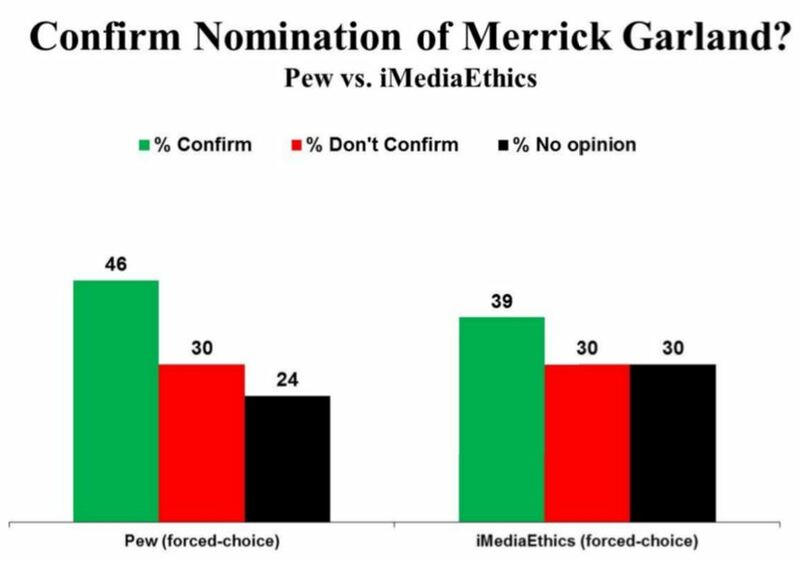 The comparable figures in the iMediaEthics poll were virtually identical: 61% to 30%. These results suggest the Pew and iMediaEthics polls are quite comparable and that public opinion on this issue did not change significantly, if at all, between the timing of the two polls. While the forced-choice question format can pressure respondents to give an opinion even if they don’t have one, a question that provides an explicit option of “unsure” reassures respondents that it’s okay to admit they don’t have an opinion. As noted earlier, in the iMediaEthics poll, half the sample was given the “unsure” option. The results show that fully a majority (57%) of respondents admitted they really didn’t know whether Merrick Garland should be confirmed or not. The rest split slightly more in favor of confirmation (24%) than opposed (18%). That a majority of Americans might be unsure whether Merrick Garland should be confirmed seems more plausible than the results of the four polls noted earlier, which suggest that the vast majority of Americans have a meaningful opinion on the issue. 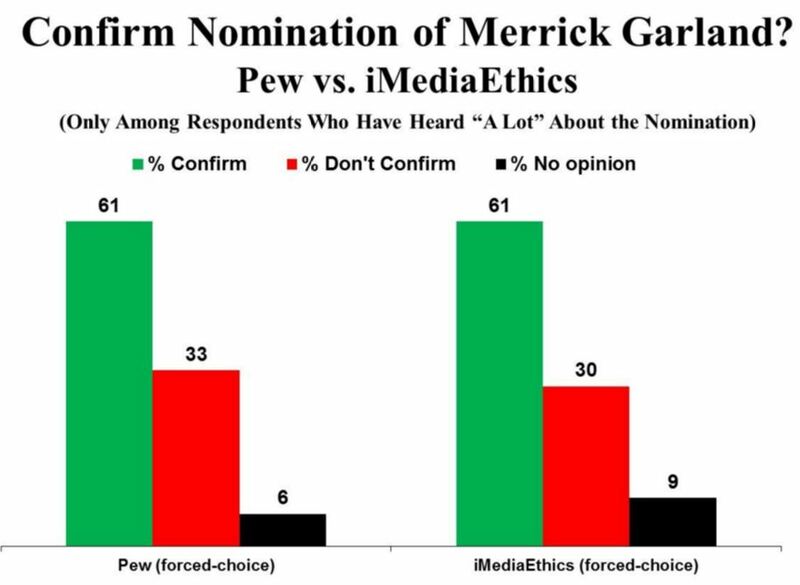 As both the Pew and iMediaEthics polls show, less than a third of the public has heard “a lot” about the issue. 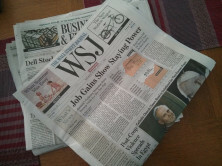 Do People with Opinions Really Care If Their Opinions Prevail? When people participate in a poll, they know they’re expected to have opinions and to share them with the interviewers. But research has shown that many people who express views in the context of a poll may not care very much whether those views actually prevail. Such respondents give a top-of-mind reaction to fulfill their perceived obligation in the context of a survey, but subsequently admit that they wouldn’t be upset if the opposite happened to what they just expressed. 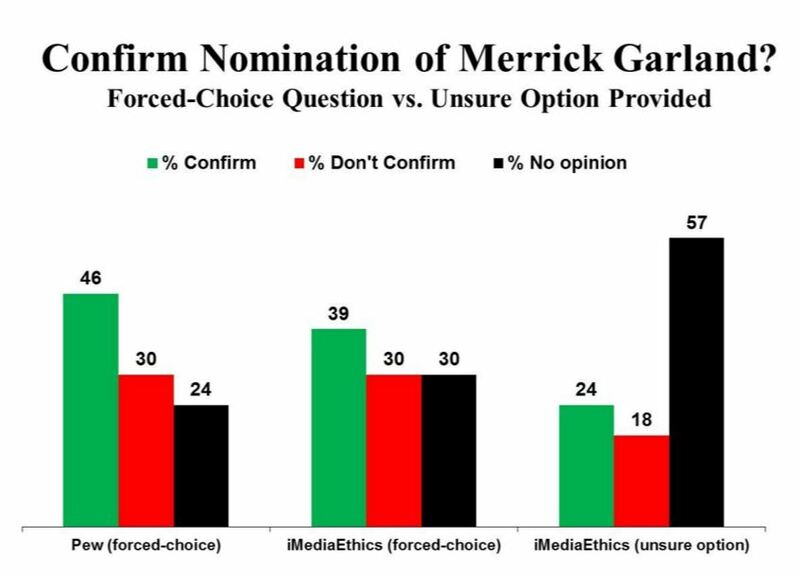 In the iMediaEthics poll, respondents who said they wanted Garland confirmed were then asked how upset they would be if he were not confirmed. About a quarter said they would not be upset if that happened. And respondents who opposed confirmation were asked how upset they would be if Garland were confirmed. About a fifth said they would not be upset in that case. 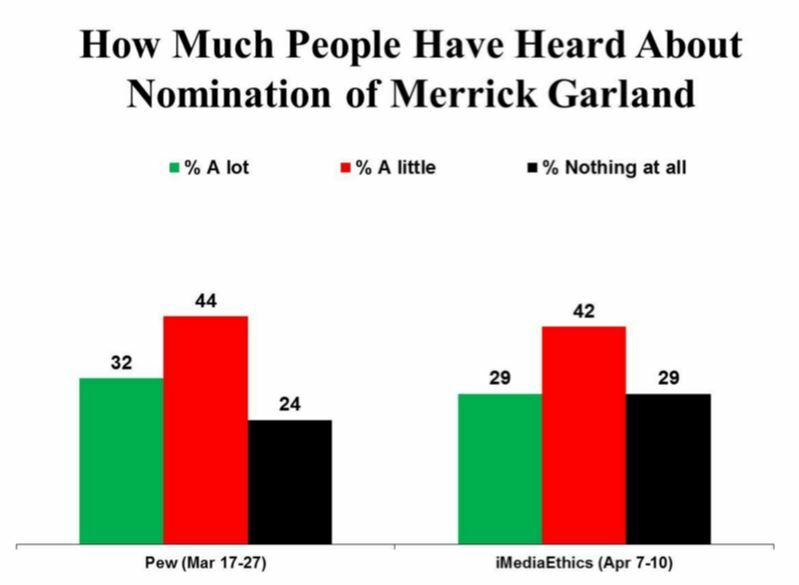 The net result is that just 18% of respondents said they wanted Garland confirmed and would be very or somewhat upset if he were not confirmed. And just 15% said they did not want Garland to be confirmed, and would be very or somewhat upset if he were. In short, a more realistic assessment of public opinion is that up to two thirds of the public doesn’t feel strongly about the confirmation of Merrick Garland either way. Democrats are clearly more likely to support the nominee (35%) than are Republicans (7%). And Republicans are more likely to be opposed (28%) than are Democrats (9%). But a clear majority of all partisan groups doesn’t have a strong opinion either way. A CBS News/New York Times poll, taken about the same time as the other four polls noted earlier, affirms the view that few Americans are engaged enough to have a meaningful opinion on Merrick Garland. This poll, like iMediaEthics, also provided an “unsure” option. 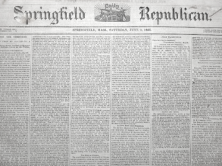 Their results: More than 70% of Americans are not sufficiently engaged to have an opinion. 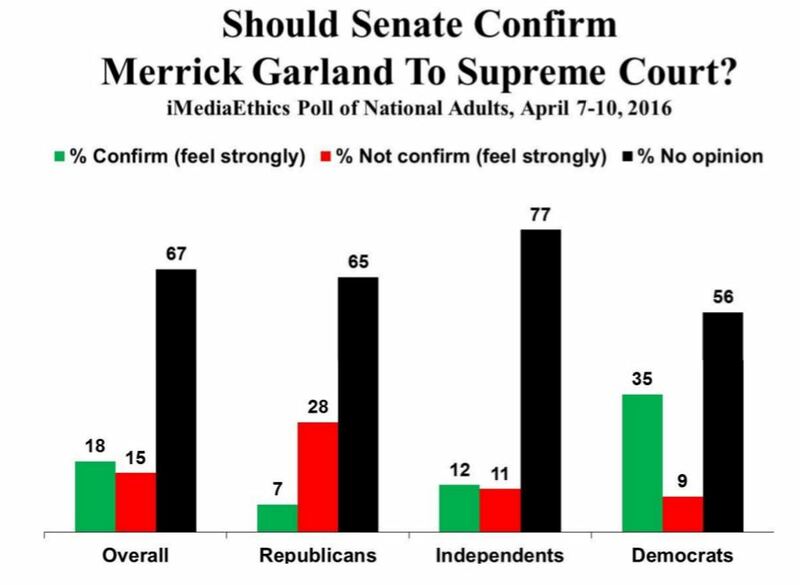 So, do Americans really want Merrick Garland confirmed to the Supreme Court? The answer: Few do. Fewer don’t. Most don’t know. The methodology for this poll is here. Fixed an editing error. 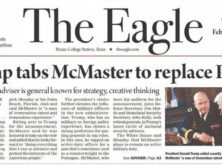 Thanks to a sharp-eyed reader for the catch!